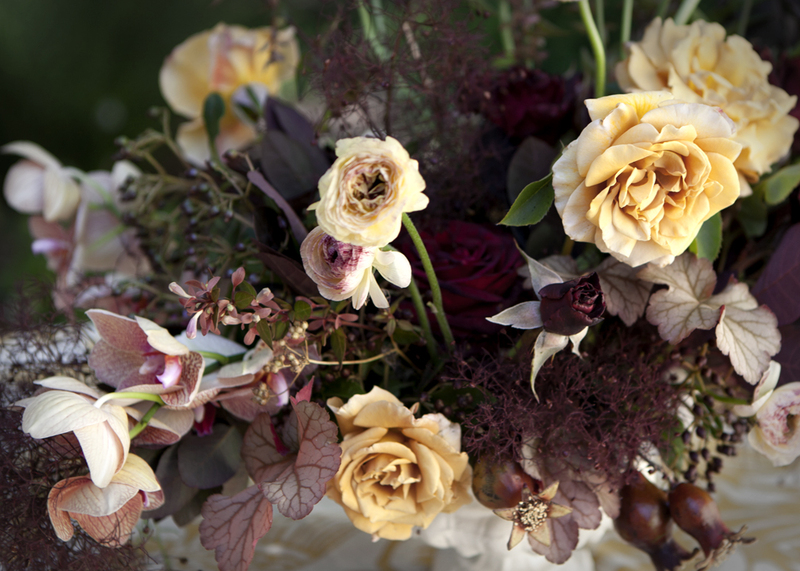 a study of heirloom roses with little flower school at garden valley ranch in petaluma, california. images: my finished arrangement, working away, stunning demonstration arrangement. 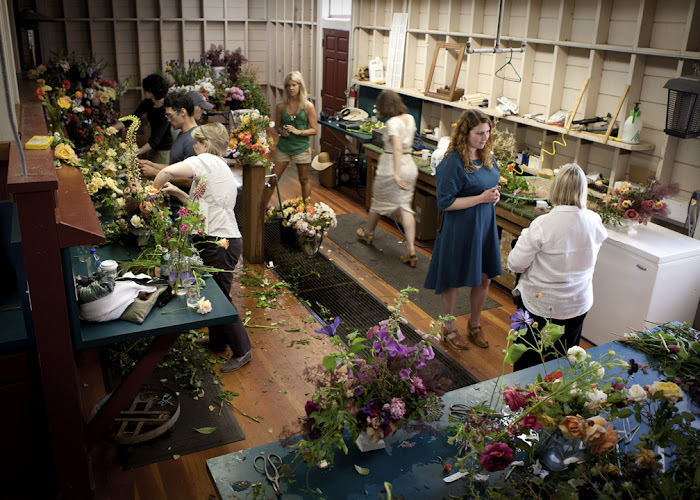 Late last month I spent an entire day learning to arrange flowers with Nicolette Owen of Nicolette Camille, and Sarah Ryhanen of Saipua - collectively the Little Flower School. 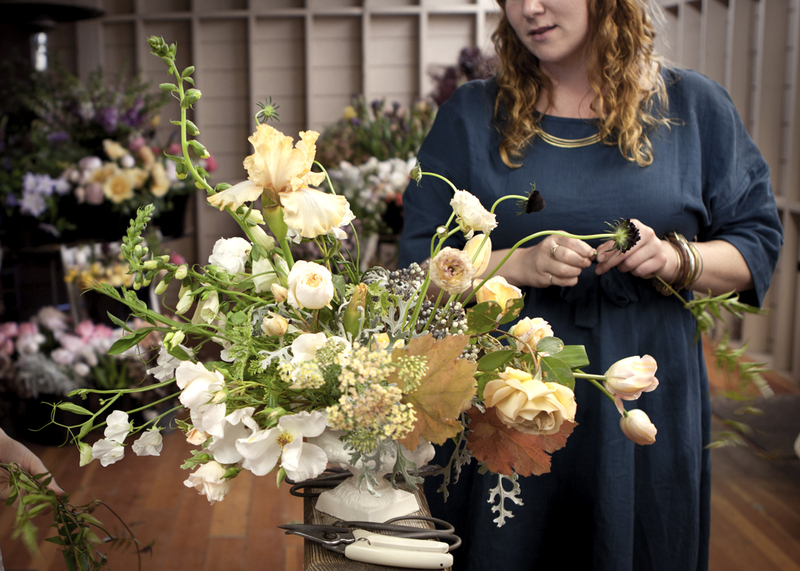 Student's learned to how to make attractive arrangements using a variety of stunning blooms, including, fresh cut heirloom roses from the garden. 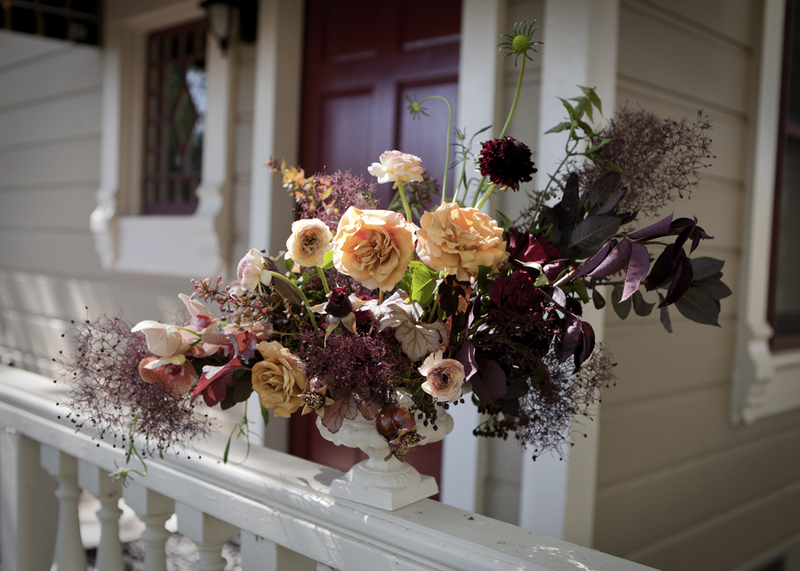 I chose deep burgundy reds and pale dusty yellows for my arrangement - featuring Peter B. and Black Baccara roses, orchids, smoke bush foliage and ranunculus. 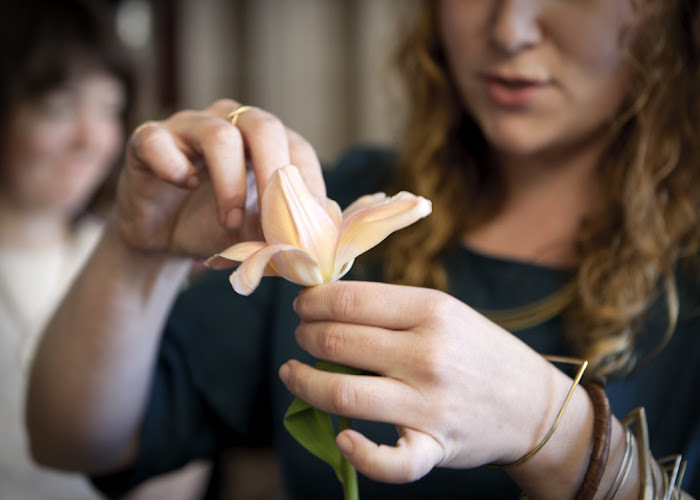 Nicolette transforming a tulip by gently bending it's petals back, creating an entirely new shape to work with. Sarah showing off a selection of poppies. 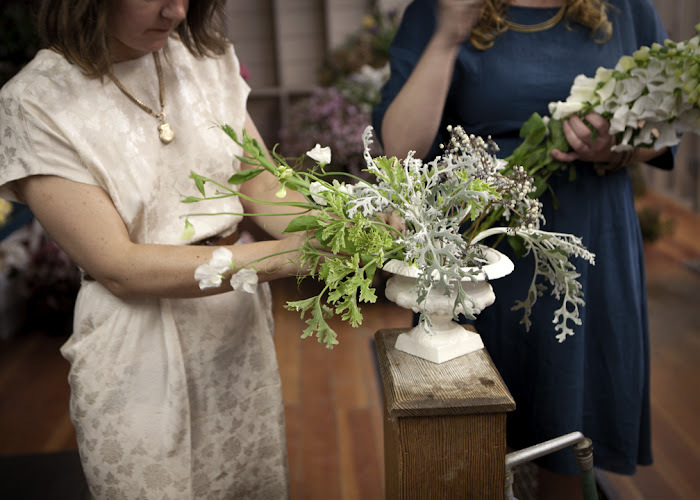 Sarah and Nicolette simultaneously building the foundation of an arrangement. Our work space at Garden Valley Ranch. katie, this must have been such a special day! and, your arrangement is so bold. 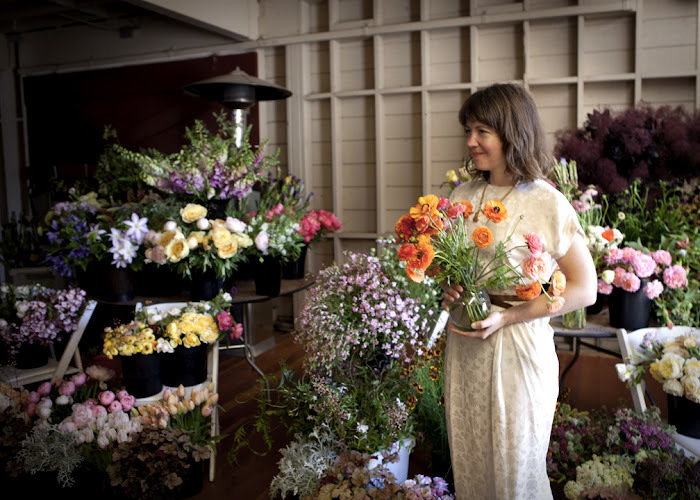 I'm a big ole fan of Little Flower School (and roses of every kind, oh yes.) These photos are almost like being there. thank you for sharing! I have seen some arrangements by Saipau before and they're always so unique and have the feeling of movement. What an awesome workshop! 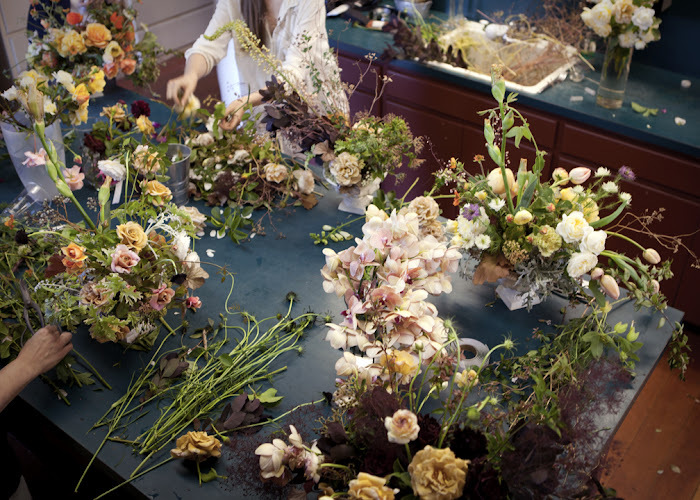 I really like the assymetry of your arrangement.